News Corp, the parent company of Move’s realtor.com and Australia-based REA Group, reported Thursday that its revenue grew to $2.63 billion during its second quarter 2019 earnings (which cover the final three months of 2018), representing a 21 percent year-over-year increase. 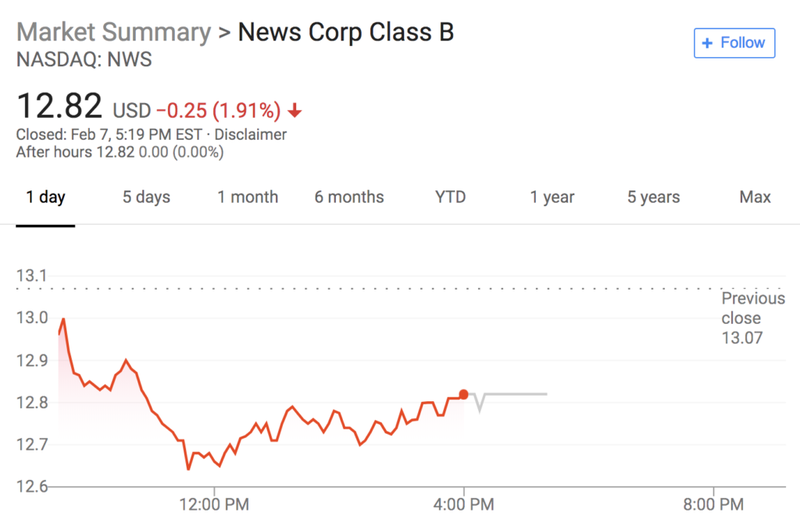 Overall, News Corp reported adjusted earnings per share of $0.18, which beat analyst expectations. News Corp stock fell by nearly 2 percent Thursday leading up to the earnings report. The company’s stock price slightly fluctuated in after hours trading following the earnings report, but remained mostly flat. At Move, revenue grew during the quarter by 11 percent, to $122 million, compared to one year prior. Move also saw 53 million unique web visitors during the final three months of 2018, which was an increase of 6 percent year-over-year. At one point during the call Thursday, Thomson also took a swipe at his competitors. Thomson never went on to mention the competitor by name, though the reference to “flipping” seems to indicate he was thinking of one of the many companies that has launched an iBuying program in recent years. News Corp’s real estate services have recently been an increasingly important part of the company’s business. Last quarter, News Corp’s reported that its real estate services grew 8 percent year-over-year, rising from $271 million during July, August and September of 2017 to $293 million during that same period in 2018. That helped buoy the company’s overall revenues by 23 percent year over year. Revenue at Move — which News Corp acquired more than four years ago and which operates realtor.com was up 10 percent last quarter compared to a year prior. One quarter prior to that, the company reported that revenue from its digital real estate services had grown 19 percent year-over-year. Correction: News Corp beat analyst expectations by reporting adjusted earnings per share of $0.18. This story initially reported that the company met expectations.